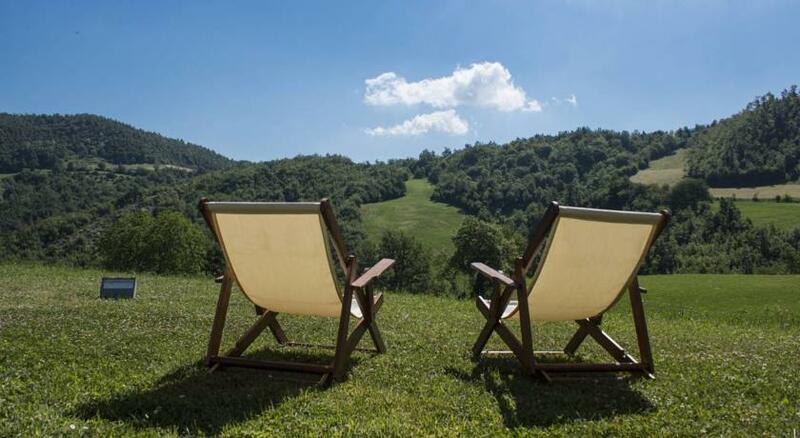 Agriturismo Pratalbino is a beautifully isolated farmhouse on a hillside surrounded by nature near Bagno di Romagna in the Emilia-Romagna Region of Italy. It’s about a half an hour from the city of Arezzo, while also being conveniently near Rimini and Federico Fellini Airport. Their very comfortable, rustic B&B rooms all come with private bathroom, a flat-screen TV and WiFi and there is a nice shared lounge and dining room downstairs where they serve a great Italian breakfast every morning. The area surrounding the farm is peaceful and lovely and a great place for long country walks, and bikes can be hired from the farm too for exploring a bit further afield.